Update: Promo is offered again until December 31, 2017. Terms and conditions apply. See this page. Spotify is back with a new promo. Spend only ₱129 for 3 months of Spotify Premium usage. Spotify Premium allows you to download music (so you can play them even when offline), play any song, skip ads or songs you don't like, and choose high definition audio versions when streaming. 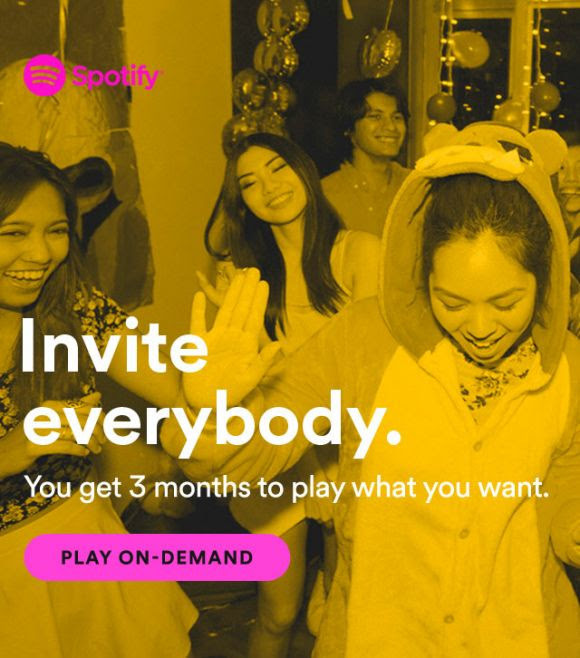 Unlike the other promo (see Spotify Deal: 3 Months of Premium for only P9), this discount applies even for old users. Other payment options are also accepted besides credit/debit card. However, those who cancelled premium usage after April 18, 2016 is not eligible. After three months, the regular ₱129 rate per month takes effect. Promo is open until June 30, 2016 only. Other promos include Premium for Family and Spotify Premium for one year. It's P194.00 per month for a user and up to 5 family members for ther former and P1,548.00 for one year, paid once for the latter. Spotify now offers Student discount in the Philippines. 50% OFF for qualified students!